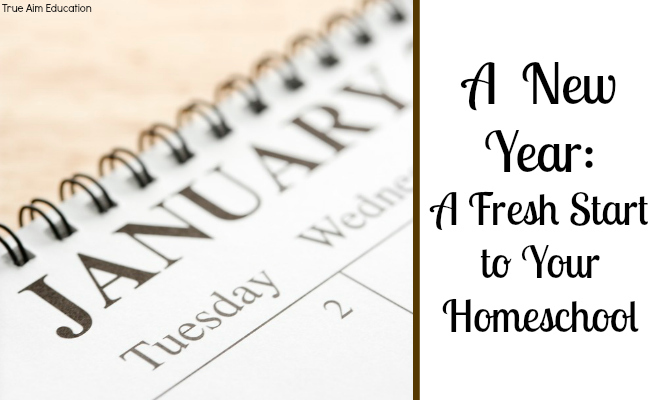 The beginning of a new year is a great time to give your homeschool a new beginning, a fresh start. 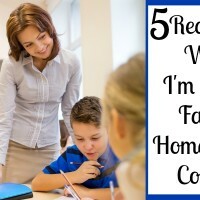 Throughout the holiday season homeschool schedules tend to be off, kids don’t really want to do their schoolwork and often moms have too many holiday preparations which require their attention to really have time to focus on homeschooling. Getting back into the swing of things in the new year can be challenging, but often it is just what your homeschool needs! Following the holidays moms and kids are ready to get back into their routine, the chaos that holidays provide can only be fun for so long. 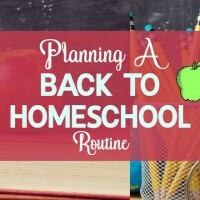 Take advantage of the need for routine and give your homeschool a fresh start! 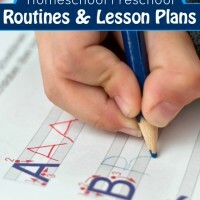 As your kids continue to grow you’ll need to make adjustments to their schedule, homeschool studies and more. Before the new year arrives, look back over the first quarter of your homeschool year and determine what needs to be changed and what works well for each of your students. Ask them what they would like to do throughout the winter months, keep them moving forward with their education by involving them in what they study! The wintertime is a hard time to plan fun homeschool ideas and field trips for many because of the weather. Some great ideas for winter homeschooling fun are; winter sports, board games, indoor P.E., movie vs. literature studies and arts and crafts. Homeschooling is a family journey, you can always add more quality time to learn with your kids no matter what time of the year it is. Ensure that you aren’t just handing them textbooks and lesson plans, experience homeschooling with your kids more this year! Sometimes homeschool moms have great ideas to jump start their homeschool in the new year, but there are times our ideas backfire. It’s important that we remain flexible and willing to change, if something isn’t working in our homeschool we must ready and willing to move on and try something else. Don’t try to make something fit that just doesn’t, find what works for you and your kids and embrace it! Homeschool moms tend to be creative and are excited easily in regards to their children’s education, we need to take those things and apply them throughout the year! When we remain optimistic and enthusiastic our children are more likely to enjoy learning! 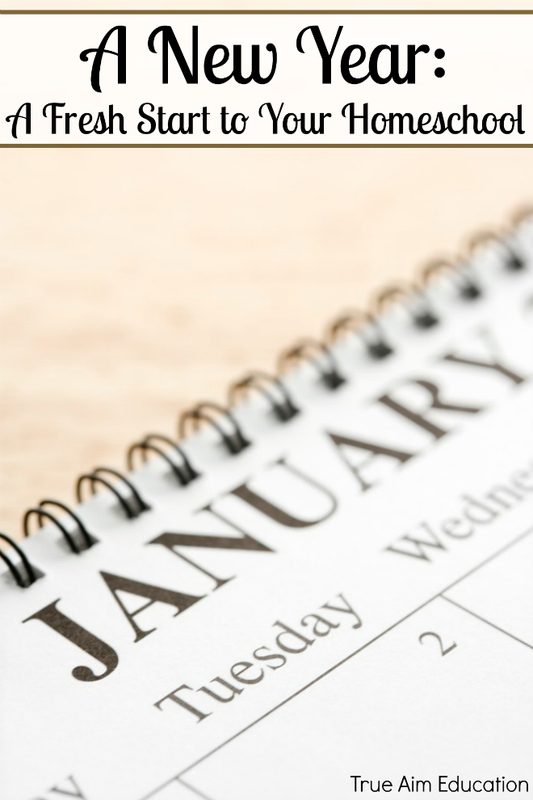 Before the new year arrives take time to write down ideas to start your homeschool fresh, then make a plan to incorporate them into your homeschool days for the first week or two. See how it goes and then reassess. Don’t be afraid to try something new in your homeschool. Just ensure you’re ready to change if it doesn’t work! What are you looking forward to trying new in your homeschoool in the new year?